A year ago, I was taking a senior product design class in which teams of about 20 students were tasked to create meaningful products. 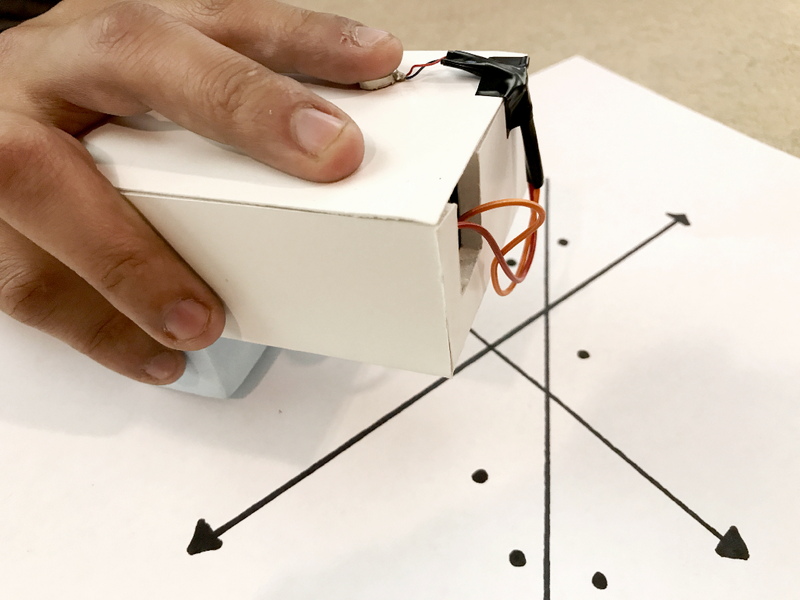 The first few weeks were dedicated towards brainstorming and preliminary research, and my team ultimately decided to build a handheld device for helping visually impaired users interpret 2D images. Our target users were mainly visually impaired or blind students who needed to interpret images, such as graphs and simple illustrations, in educational contexts. We determined target users and product goals by doing market research and interviewing subject matter experts. Current solutions for aiding visually impaired students in schools involved expensive technology usually in the form of large machines. My team took this as a positive sign, believing our product’s competitive edge could be affordability and mobility. We also conducted in-person interviews with a blind elderly man as well as phone interviews with staff members of blind centers. The feedback we gained were generally positive and open to our product idea. We saw a green light in the direction we were headed and were excited for an opportunity to contribute to the field of assistive technology. Within the next few weeks, we took our idea from paper to initial prototype. It had a basic form with a camera sensor and small vibrating motor attached to a Raspberry Pi. Whenever the camera sensed a black area, the motor would vibrate to inform the user. We demonstrated the prototype with both sighted people and a blind elderly man, but the feedback wasn’t conclusive — we needed to test with accurate users of our target audience. 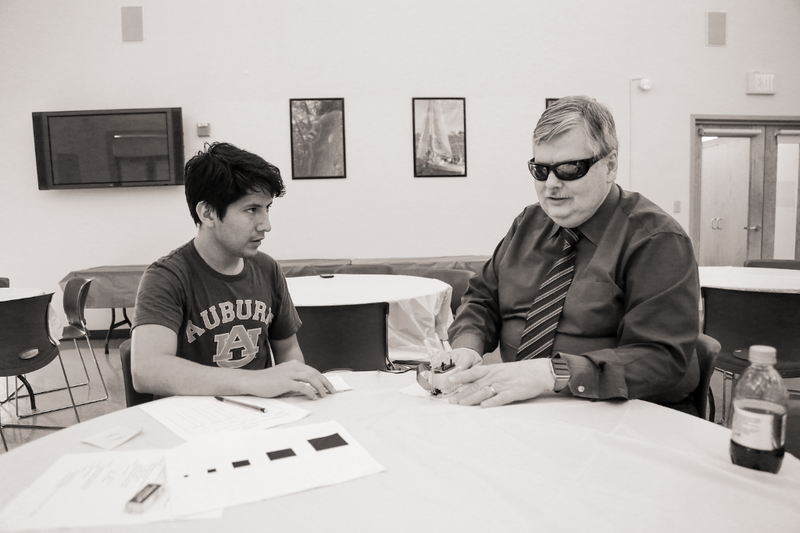 Consequentially, our next step was contacting nearby blind centers and scheduling appointments for several of our team members to engage with visually impaired students. I wasn’t one of the members who visited the centers, but my understanding from my teammates’ reports was that the process went according to plan and we were able to gain valuable feedback from accurate users. 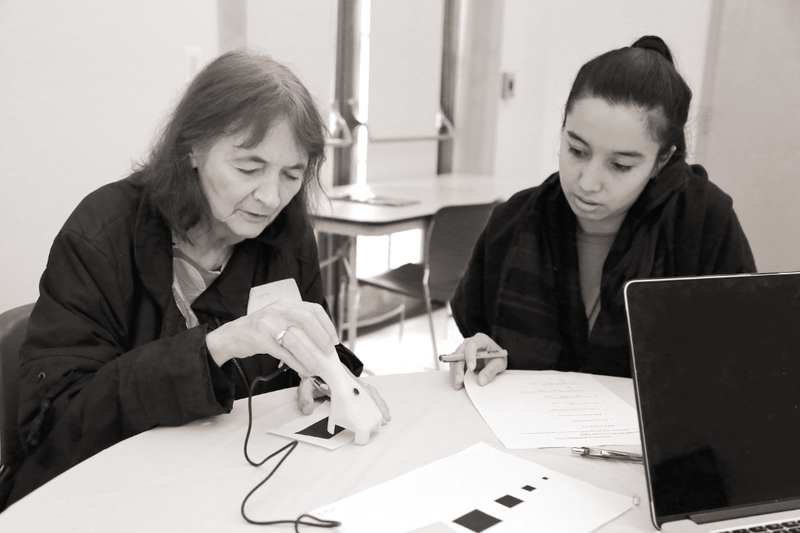 Visually impaired individuals have existing solutions for the problem space that are well integrated into their lives. Schools and centers are obligated to aid visually impaired students, which includes providing them with the necessary tools for interpreting images, so affordability isn’t an issue. Given current solutions and existing technology, it’d probably make more sense for another solution to be a software product, which wasn’t an option for this given class. It was evident from the feedback that our user need likely didn’t exist. Of course, we inevitably decided to change directions and achieve a user-centered final product, but that’s not what I wanted to talk about here today. We had already spent half our timeline in a product direction we just proved to have no user need. 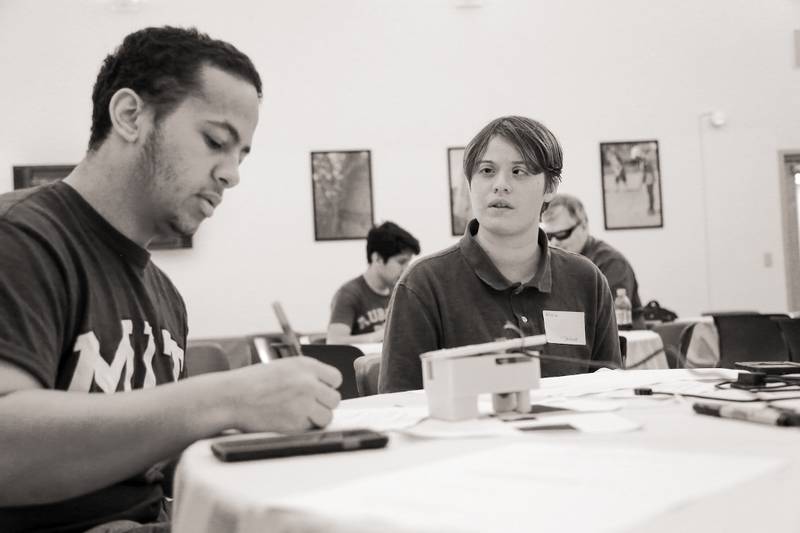 As college students in a class that’s only a semester long, time was our most valuable asset. It was easy for my team to see this situation as a failure — our morale was down, we had no clear next direction, and our past efforts seemed a waste. However, looking back on it now, I realize that this “failure” is an integral part of the design process. Of course, user testing is supposed to inform design decisions. There is always the possibility of user research proving your hypotheses wrong. That’s why research and testing exist. However, it’s important to identify the assumptions and hypotheses that led to those outcomes in order to learn from these experiences. Brainstorming — Assumption: Visually impaired and blind people need a better way to interpret 2D images. Market Research — Assumption: Existing solutions are mostly expensive machines. There is an opportunity for an affordable, handheld device. How do we know that this user need exists? Do we understand this target user group? 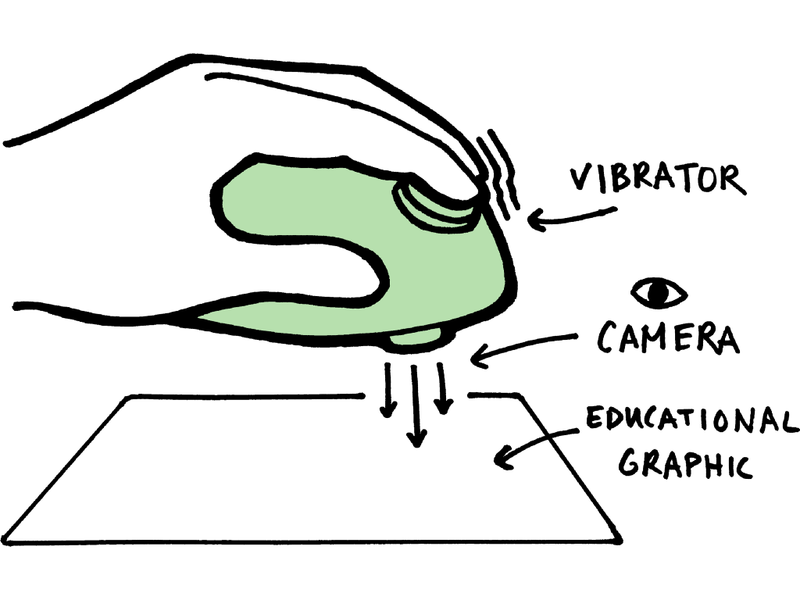 How can we empathize with accurate users as soon as possible? Why aren’t there more affordable and mobile solutions? How reliable and updated are these online resources? Can subject matter experts replace target users? How accurate to the target user group are they? Make assumptions clear from the start — Making initial hypotheses and assumptions is natural for initiating the design process, but it’s easy to unconsciously start accepting assumptions as truths. Clarify and share assumptions with the whole team, emphasizing the fact that they are based on personal beliefs and require real data. Use uncertainties to form testable hypotheses. Engage with target users ASAP — Any source of information is useful, but nothing beats getting feedback from accurate target users. Use research to learn more about the problem space and form hypotheses, but the sooner you test with real users, the sooner you can be confident about moving forward. Challenge beliefs constantly — Sometimes we might not even realize our beliefs are assumptions. However, it’s important to question why we believe certain statements, especially if they pertain to user need and product direction. Always ask yourself why you believe something, what data supports your belief, how objective/subjective is this data, etc. Don’t be afraid to bring up these questions in team meetings as well. This reflection has helped me improve my approach to user-centered design, and I hope it can help you learn something as well. Thanks for reading! “Failure” in the design process was originally published in UX Collective on Medium, where people are continuing the conversation by highlighting and responding to this story. Previous articleI had some whiskey and made some logos. 10/10 would drink and design again.